Getting onto the Greaser is like stepping back into the 1920’s, it’s a complete throw back to the era of “Great Gatsby” when the Board Tracker Racer style motorcycles were most popular. The era of sequin, fringe and beaded trims, flapper style, skullcaps, pork-pie and fedora hats. 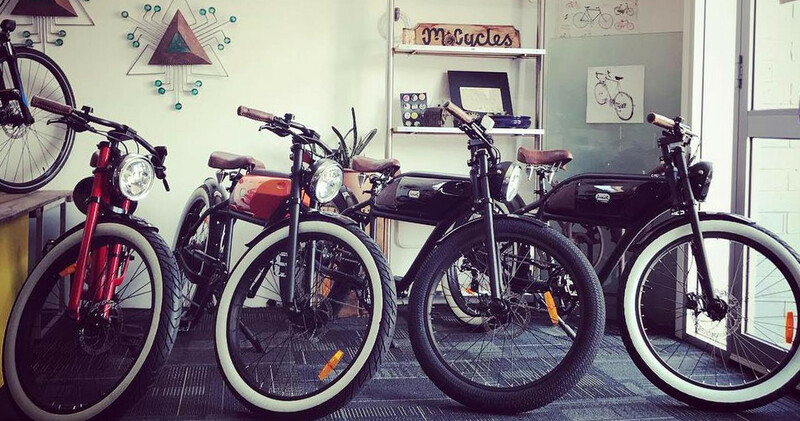 This unique electric bike has that special look of a vintage, antique motorcycle meanwhile being incredibly modern and up to date. 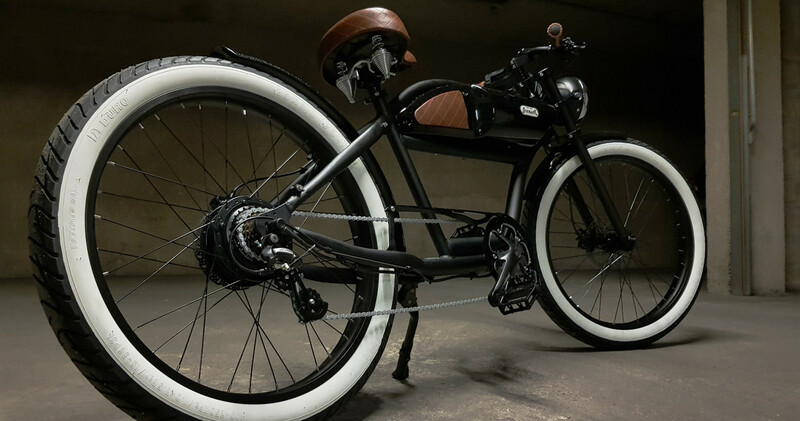 This bike will get you noticed and you’ll be the envy of every cyclist in town. When you buy one of our GREASER you know you have just spent your hard-earned money on an extremely well-made piece of machinery. Light up the way in style - see better, further, ensure you are safely seen by other cyclists and cars. A large LCD 5 speed display with back-light shows you all the trip information you need including - assist mode, including current trip and total km traveled. Switch between kilometers and miles available. 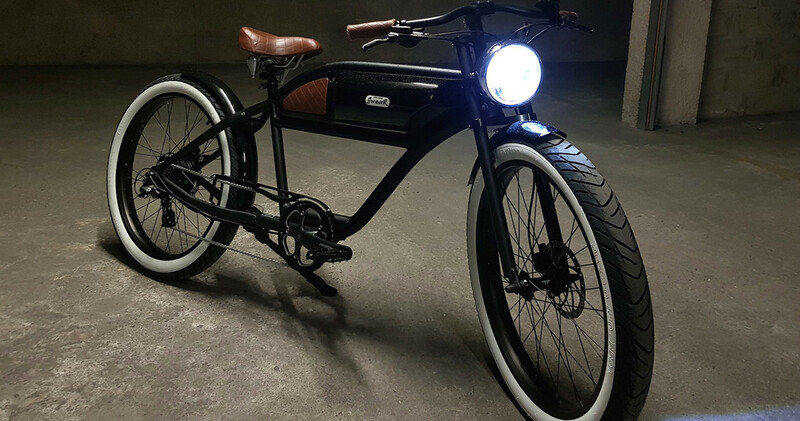 Greaser is not only a stylish phat bike, but also a beast with Bafang 350W or 500W Geared Brushless Rear Hub Electric Motor, twist throttle. The major difference being that the 500W bike has better torque then the 350W, so it picks up speed faster. Features easy to use twist throttle - with a simple twist of the right handle go further, faster - up hills without using the pedals. 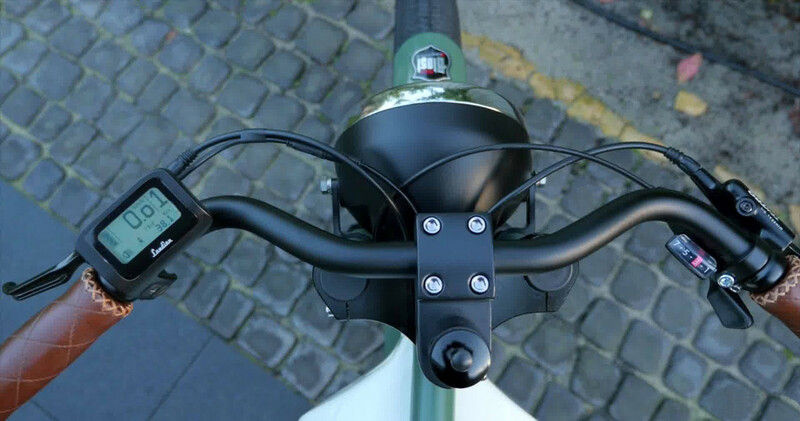 PAS - Pedal Assist System allows for a more intuitive riding experience and if you want more exercise - turn it to zero assist level and pedal as on a regular bike. 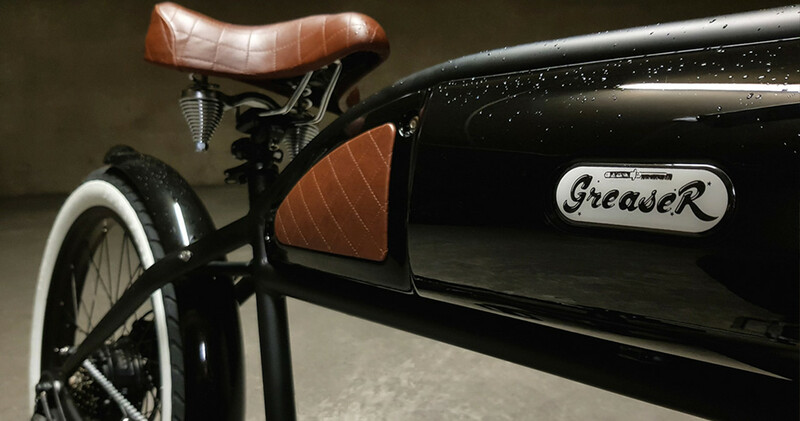 The Electric Greaser bike provides the perfect alternative to transportation with environment friendly and zero emissions advanced Lithium Ion technology. Hidden Battery & Controller - Looks great and cuts through the air with ease! 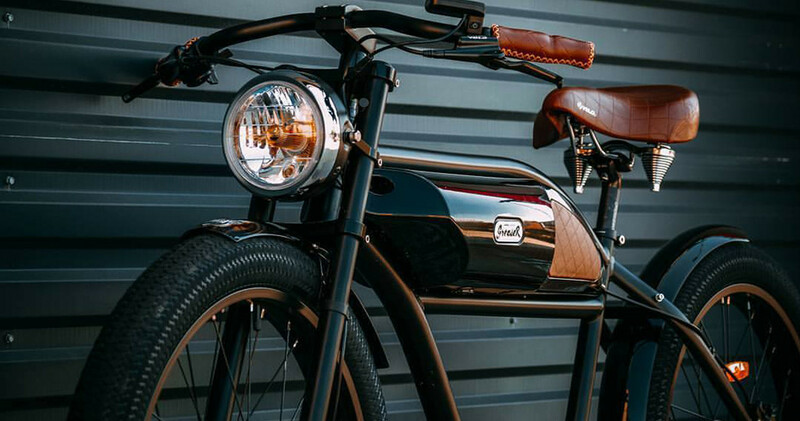 A special mid-section case in the bike’s frame combines both electric motor and its controller in one classy unit. Equipped with Hydraulic Tektro Auriga 6-bolt 160mm front & 160mm rear Disk Brakes - featuring an open system design using non-corrosive and environment-friendly mineral oil. Samsung Lithium Ion Battery 36V13Ah (350W) or 48V14.5Ah (500W). Quick charge of only 4 hours will have you riding in no time. Extended Range - 40-60 km per charge lets you tour all day around town or country without worry.